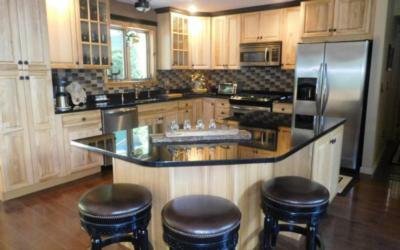 59 Woodridge Road. 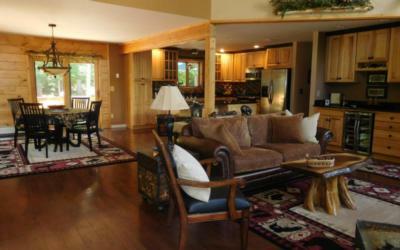 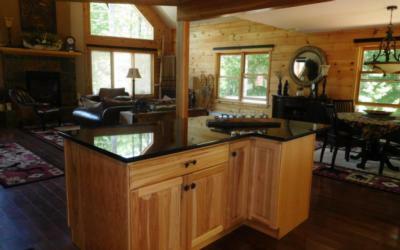 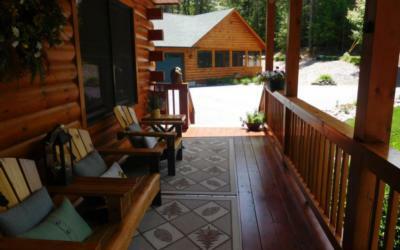 Experience Adirondack living at its best! 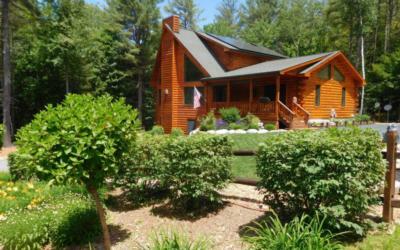 This top of the line four bedroom, three bathroom log home features master workmanship throughout, a massive tile fireplace, solar & radiant heat, a full finished walk-out basement, a detached & heated three car garage, and an almost new two bedroom, 1,200 sq. 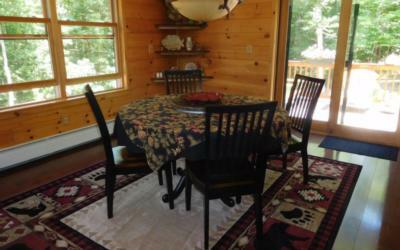 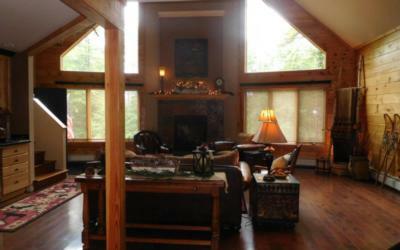 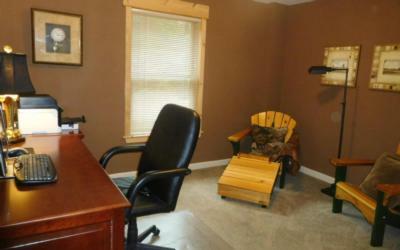 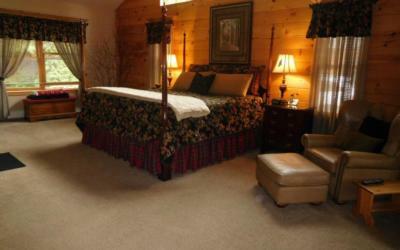 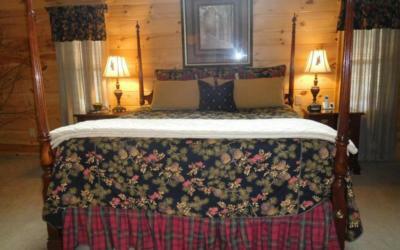 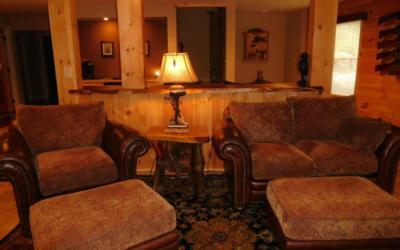 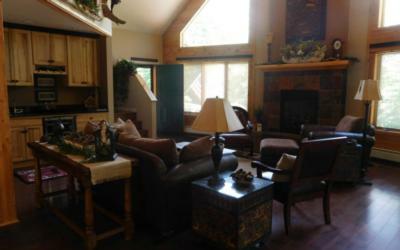 ft. guest cottage in a very private setting just outside of Brant Lake.